That’s you Sandra (Craftynan)! Congratulations, please email me to claim your prize – please put Cherry Cozy Tilda in the subject line. At last I have a card showing the new Hellebores that go on sale at Wild Orchid Crafts tomorrow. I think these are going to be one of my favourites and will be used all year round. I inked the tips of the petals with dusty concord distress ink before spritzing with Marshmallow Glimmer Mist. For my card today I have used the sweet Christmas Candle image from Lili of the Valley and have coloured it with Copics. I’ll list the colours at the end of the post. The papers are Nitwit Collections Still Joyful Hearts. Lilac is a colour I don’t often use but have done so twice in the last few days and am loving the colour (still so contrary lol). The lace and flowers are from Wild Orchid Crafts – I used Hellebores , 20mm roses, 15mm roses and 6mm rose buds. The leaves have been punched with a Woodware holly punch and I have inked the edges with the Dusty Concord ink. Don’t forget there is candy up for grabs on the Wild Orchid Crafts Blog as well as some more DT sneak peeks of the new Hellebores. And ... it's the Kenny K Challenge today with new releases of Dude stuff at Kenny K's shop, and check out the fabulous cards Team B has done for the challenge. Just to let you know the Wild Orchid Crafts candy is now up on the blog here so pop across to enter. Just a little heads up for you all, Wild Orchid Crafts are launching their newest flowers on Monday and oh my word they are simply scrumptious!!! I have been wanting these flowers for ages so was over the moon when Paul said they could be done whoop whoop! Check out these HELLEBORES (Christmas Roses) yum yum!! They are even better IRL and I know I will be using them all year round, not just at Christmas!! The DT will start posting projects using the new flowers from tomorrow, AND there will be a delish candy on the main Wild Orchid Crafts Blog later today. I’ll pop a post on my blog once it is up and running – you DON’T want to miss this one!!!! Catch ya later – I’m back to housework yuk!! It’s that time of the week again when the ever generous Heidi from Simon Says Stamp lets me give away another Magnolia Stamp! And this week I have chosen the adorable Cherry Cozy Tilda (I think she is my most favourite Tilda of them all). If you would like to be in with a chance of winning all you need to do to enter the draw is leave a link to your blog (or your email address if you don't have a blog). There are NO silly requirements or rules, you do not need to be a follower or even blog about the candy if you don’t want to. The winner will be announced on Sunday evening, so good luck! That’s you Janey! Congratulations sweetie, please email me your address so I can pop your prize in the mail. Happy Friday (thank goodness lol). I almost forgot to schedule this post eek. It’s now 2.30am and I am ready for BED!! I have had quite a bit of behind the scenes work to get done so have been squeezing in my daily cards where I can. The pics are not the best, I photographed with the light tent again (hate that blessed thing). Our challenge on Just Magnolia this week is another of Dawny P’s amazing sketches. I do so love working with them. I dug out some Eline’s Baby Boy papers and did I have a job trying to get the blue on Tilda’s dress to match. I coloured the image five times, this is the best of the lot and I ain’t colouring it again. I even resorted to distress inks and guess what – me no likey them any more rofl. Soooo contrary! The sentiment is from the soon to be released circular sentiment stamps from Lili of the Valley. They go on sale at the NEC next Thursday and on the website on the 12th November. I have a feeling these sentiment stamps are going to be my most used! The flowers are all Wild Orchid Crafts (what would I do without them!!!!). I used 30mm Wild Roses, 15mm roses, 10mm roses, 4mm rose buds, 8mm semi open roses and cherry blossoms. The sentiment on the base of the card I have had for years and can’t remember who it is by although WS designs springs to mind. I have used a Martha Stewart Vintage Lace punch and a Monarch Butterfly punch and also a Doo Hickey Tag die which is not showing up very well because I did it the same yellow as the backing card – not such a good idea there Bev! That’s all from me, I’ll be back later with the Promarker candy winner and the new Magnolia candy draw. It’s Lili of the Valley Challenge time again, and we’re following one of my sketches. Now then I made this card weeks and weeks ago for a commission. The only spec was it had to be a Lili of the Valley image (no hardship there then lol) and it had to be shades of lilac/purple. Now that was a toughie because these are so not my colours but thank goodness for the MME La Paperie paper stack – how gorgeous are these papers!! I used a Doo Hickey Tilda Lace border die in cream pearlescent card to break up the purple. The pearl swirls are Prima and the little pearl hearts are from Wild Orchid Crafts. The flowers are also from WOC and are 10mm roses, 15mm roses, 4mm rose buds, cherry blossoms and 30mm wild rose. The sentiment stamp is Whiff of Joy. How pants is this last pic, it looks yellow!! It was taken the same time as the other two pics. Cameras!! Do check out the challenge blog as there are lots of sneaky peeks of the soon to be released Tea & Chat, Party Girls and Circular Sentiments. I had made this card weeks and weeks ago and didn't get time to make another using the new images for this challenge. I absolutely adore the autumn winter Sarah Kay release from Stampavie – they are so so sweet. Today I have a DT card to share, I made this one a while ago (this is the last of the 6 that I was commissioned to do for demo boards). The papers are Memory Box Mistletoe. I think these papers are my very favourite Christmas papers. The image was coloured with Copics but it was done so long ago I have no idea what colours I used. The cherry blossoms and lace are from Wild Orchid Crafts. The little organza flowers are from The Hobby House. That’s all from me today (I’m chasing my tail again lol.) If you have missed the post, there is Promarkers candy up for grabs, just scroll down to the post below this to enter. I have another set of Promarkers to give away, I’ve popped another of my duplicate stamps in. This is one of the Whiff of Joy City Girls. If you would like to be in with a chance of winning all you need to do to enter the draw is leave a link to your blog (or your email address if you don't have a blog). There are NO silly requirements or rules, you do not need to be a follower or even blog about the candy. The winner will be announced on Friday evening. I have used Memory Box Gossamer papers, so pretty (and loving the pink!!). I’ve also used in the Doo Hickey lace die and the Doo Hickey Dragonflies dies. The roses are all from Wild Orchid Crafts natch. I’ve used 25mm Tea Roses, 15mm roses, 10mm roses 4mm rose buds. I coloured this image at work yesterday (during my lunch break – how SAD am I lol). I can’t remember the colours I used though, sorry. I’ve been asked to let you know that Totally Gorjuss are doing a DT call until 21st November so pop across to the blog for the details. Firstly I must apologise for the poo photo. I did this card last night after getting back from the show at Doncaster and had to photograph it in the light tent (which I absolutely HATE doing). If it is still light after I get in from work later I will take better photo’s. Here’s the first of my Lili of the Valley sneak peeks. Do check out the rest of the DT’s blogs as they are all showing the new stamps from today. There are 9 images and 4 circular sentiment sheets being released (including one Christmas sentiment sheet). Laila has really done a brilliant job with the sentiments and I think these are going to FLY. They go on sale a week on Thursday at the NEC. I have used Little Ballerina and the sentiment is from the “For You” sheet. There are 12 circular sentiments on this sheet!! Goodness the picture is worse than I first thought! I will have to get a daylight shot for sure lol. The ribbon (which really is a sage green believe it or not!!) is that old seam binding again – love the stuff! The papers are MME Lost & Found Market Street and they are gorgeous! Loaded with glitter and so pretty too. The flowers are all from Wild Orchid Crafts – 10mm roses, 15mm roses, 25mm Wild Rose and cherry blossoms. The Crystal Drops are also from Wild Orchid Crafts. Congratulations sweetie, please email me your address (put Bubbling Tilda in the subject line) to claim your prize. I’ll be on my way to Doncaster by the time this is published, so if you’re going I’ll be at the Lili of the Valley stand armed wiv me Copics and Prismacolors lol. Hope to see you there. It’s Team A’s chance to provide this week’s challenge at Kenny K Krafty Girlz and our challenge is 2 x 2. I got it right this time rofl – I stuck to 2 of everything. I have used the yummy Basic Grey Jovial pad for this card, loving the dark sultry colours. I carried the sketch more or less through to the inside of the card. And a close up of Xmas Hottie (loving the name lol). Not even in my wildest dreams could I have a bod like this lol. She has been coloured with Copics, I used R39, 37, 35, 32 for the reds, C7, 5, 3, 1, 0 for the black/grey and the usual E21, 00, 000 and R20 for the skin. I stamped around the image with a Stempelglede stamp from Quixotic Paperie. The sentiment is from Cuddly Buddly. Enjoy your day – I know I sure will!! That’s you DAISYCHAIN!! Congratulations honey, please email me to claim your prize. If you would like to be in with a chance of winning yummy candy all you need to do to enter the draw is leave a link to your blog (or your email address if you don't have a blog). The winner will be announced on Sunday evening. Also just a heads up – when I draw the winner on Sunday evening I am going to remove the Inlinkz list from this post as some flipping Smart Alec thinks it’s clever to delete their entry after the winner has been drawn, thereby changing the names against the numbers by one, then leaving a sarky (and anonymous) comment disputing the winner. This happened last Sunday but the winner stands as drawn and announced. I copy and paste the number, name and link from the Inlinkz list when I am doing the post so know it was correct. This is the only way I can think to do it without the Smart Alec sticking her oar in and spoiling it for everyone else, the only way I can think to keep it fair for the winner and also the only way I can think to keep the candy running because I so DON’T need this aggro! If anyone has a problem with this please feel free not to enter the draw. It’s been ages since I said thank-you for all the lovely comments – me bad!!! I’ve done a random draw from the comments left yesterday and Maria Therese’s name came up. Can you please email me with your address sweetie and I will get this little bit of candy off in the mail to you. We are promoting Breast Cancer Awareness month, I’m sure a lot of you know our amazing teamie Jacque is celebrating beating the disease and we wanted to show our support and love for a very special lady, and also for all the very special ladies that have fought/are fighting the disease. So our theme for this week is “THINK PINK”. Nice and simple, use some pink on your creation and you could be the winner of the fabulous prize and also will be showing your support!! We really hope you can join in this week. Just check out the delish prize that Wild Orchid Crafts has sponsored!! So on to my card, this Fairy Dust Tilda was just perfect for what I had in mind … not blowing fairy dust but blowing kisses and good wishes to all those amazing ladies. I have used Tim Holtz Vintage Shabby papers and went a bit crazy with the distress crackle paint around the edges. I carried the sketch through to the inside of the card. The Magnolia Doo Hickey Tilda Lace die just seemed to fit right in with the papers and design. A close up of the ribbon treatment – the “ribbon” is actually seam binding that I scrunched up then set the wrinkles with some steam. I stitched a little heart button in the centre. The image was coloured with Copics, I used E21, E00, E000, R20 for the skin, E55, E53, E51, E50 for the hair and RV34, RV11, RV000 for the clothes then added some burgundy and black prismacolor pencil to deepen the shading. I am not happy with the pink, I just can’t get a decent pink with Copics. 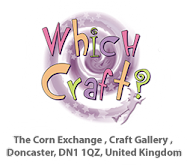 Hope you all have a great weekend, I am going to the Stamp Magic show in Doncaster this weekend, hope to see some of you there. As soon as I saw this weeks challenge I knew exactly which image I was going to use – Sledging with Daddy. 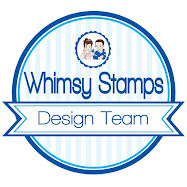 How cute is this stamp, and a doddle to colour too. The sentiment is one of Jayne Nestorenko Adorables stamp sets from Crafters Companion. Love these fonts! The papers are last year’s Bo Bunny. The poinsettias are from Wild Orchid Crafts. I went a bit OTT with the old Stickles and got Daddy and Baby caught up in a snow storm rofl. Check out this Copics candy!!! !